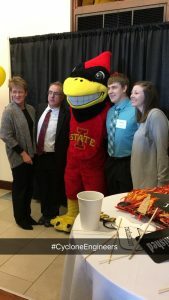 Time: 8:30-11 a.m. — come early for breakfast and a photo with Cy! University commencement will take place at 3 p.m. on Saturday, May 11, in Hilton Coliseum. For more information, click here.